The days are becoming shorter in Vancouver which means…it’s so hard to take good makeup photos when I get home from work and the sun has already set! 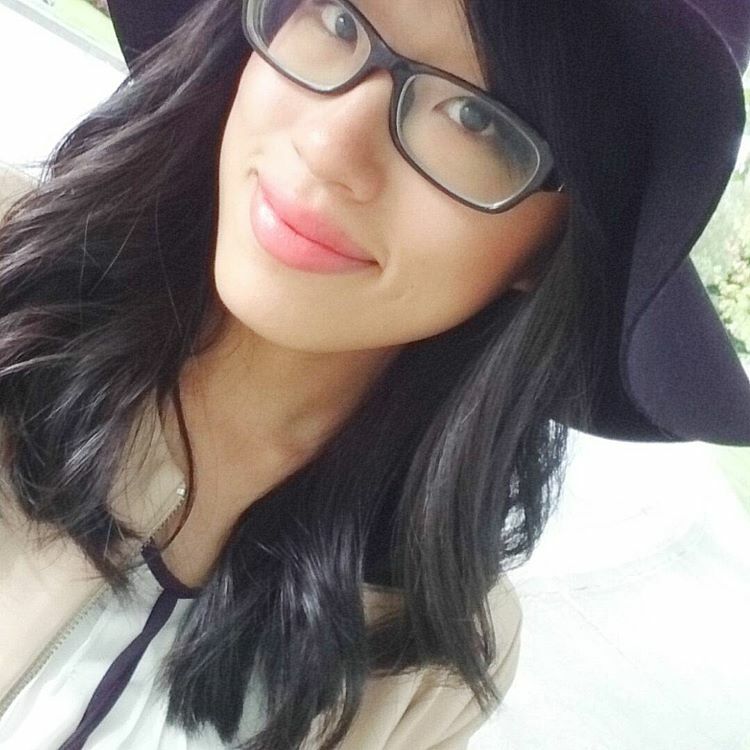 It’s been quite a week- with a Fabourg bakery event, a pre-screening of The Judge, and attending the Gap x Flare event with VonVogue, I haven’t had decent sunlight to take some good makeup photos (anyone else have that problem?) I’m going to the states during the weekend and I’m planning to pack my makeup to photograph there…my boyfriend doesn’t know of this yet. Instead of a beauty related post, this is a post on odd things I need. I have lots of bits and bobs that I have become a necessity, and if I lost it, a replacement is needed ASAP. For some items, I would just go to a mall and buy it if I’m out the whole day. I used to have the smaller, plastic 2 year calendars wherever I go. 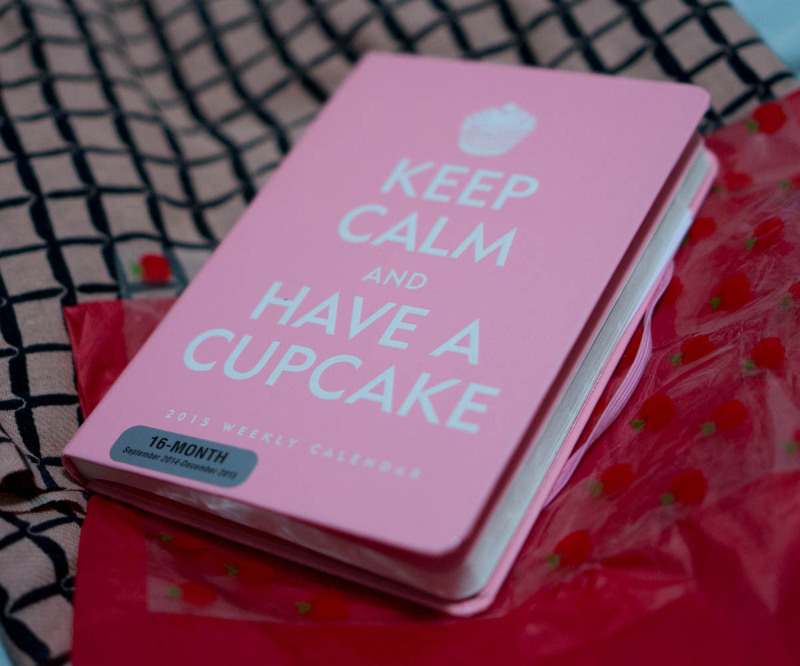 I recently purchased this 16 month calendar from Chapters since I wanted a calendar act like a mini notebook too. I jot down when I should blog and what my blog post should be, and some stuff to write in a post. There’s also a pocket at the back and I stick print out movie tickets or receipts in here so they don’t get bent, which is super handy! I also note down when my Groupons/Social Shopper coupons expire! This guy is super handy and I put it in my purse everyday! 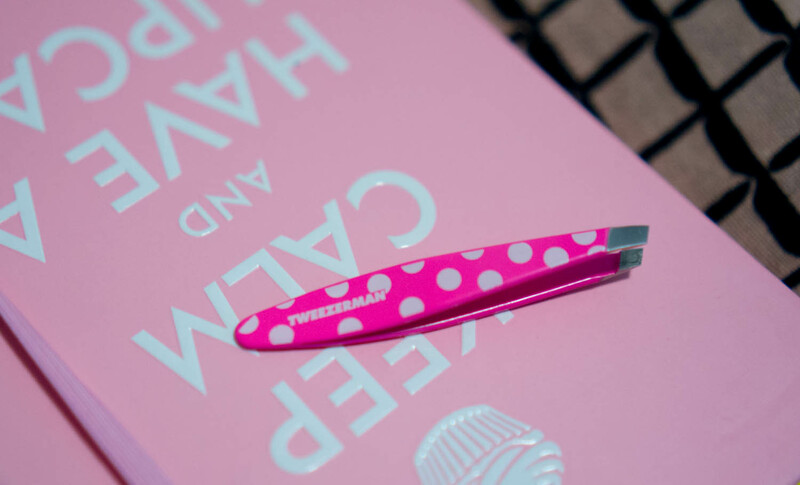 Once you go Tweezerman, you can’t go back.I’ve been using this small, pink pair of Tweezerman Tweezers since second year university, so that’s almost 5 years? It’s amazing I haven’t lost it yet. These tweezers get every single hair out and their grappling ability is amazing. They can grab the teeny hairs, the ingrowns, and the soon to be ingrowns. These are essential to my beauty routine! After waxing and I notice a few missed hairs, I take out this guy ASAP. If you’re Asian, chances are you know what this is. These kind of minty ointments (like White Flower oil) are stellar in curing anything from headache to nausea. I am prone to stomachaches, a victim of headaches and a bearer of constant backaches. This tiny pot helps me just relax. I even carried this up with me during the Grouse Grind hike and I swear it gave me energy. I need some of this when I drink alcohol. I even used it before my driving test because I was so nervous I got stomachaches. I look like I’m sniffing drugs when I’m whiffing this pot but seriously, it’s a neccessity. 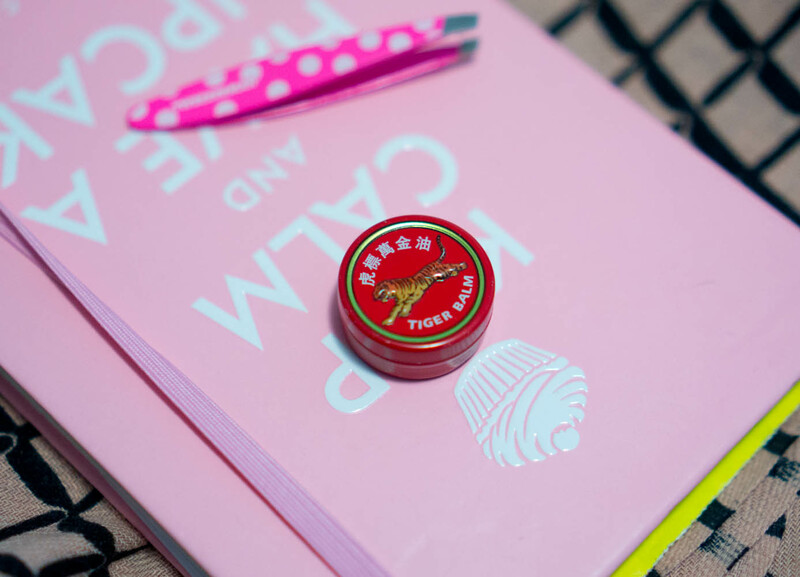 Twice I left it at home and so I decided to go to London Drugs to buy the Tiger Balm ultra, which is a bigger size than this. My parents face palm when I take it out of the purse since they know what’s up. 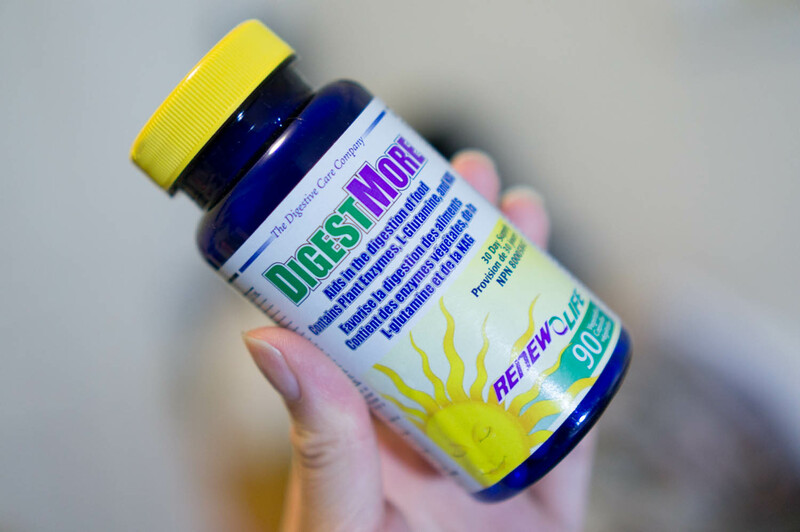 A few years ago I went to a nutritionist and did those tests where she checked what vitamins/minerals/enzymes my body was lacking in, and digestive enzymes were one of them. I get bloated easily from a full meal especially anything involving carbs and milk. If you have a large meal and can’t sleep, these things just make you feel so much better. I was recommended this brand, but other drugstore brands like Swiss work just as well and are a lot cheaper. I have 2 bottles of these, because one time I left some at home and I knew I needed them since I had a big dinner. I used to eat these more when I was more prone to stomachaches and bloating, but recently I don’t need these are frequent, but it’s very hand to keep in the purse. I put some in a small pill case for easier transportation. These 5 little things have saved me from embarrassment, fail organization, and feeling crappy in some way or the other. What are some things you absolutely need? 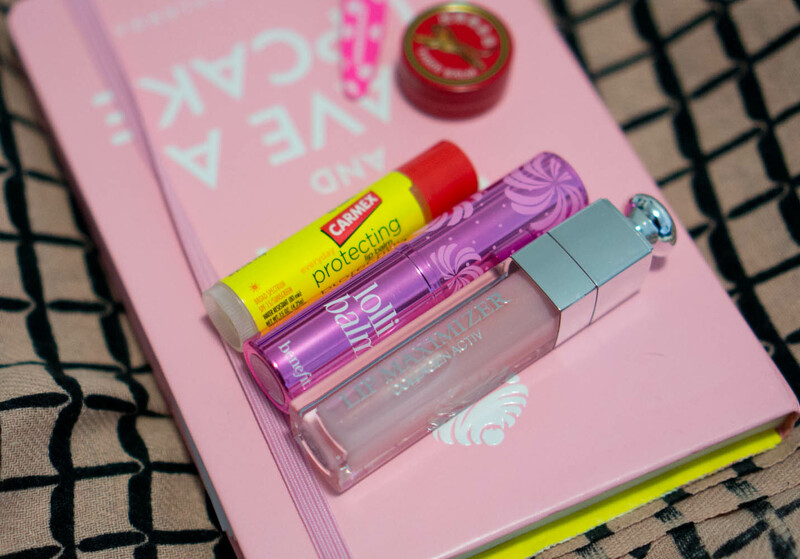 Three Most Useful Things In My Purse Right Now!